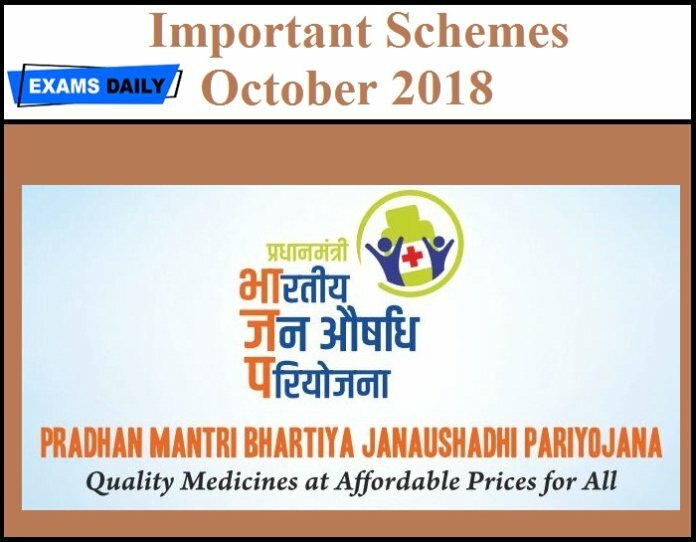 In this we have given, October Month Important Schemes and their other details. This is very important for all Competitive exams like UPSC, SSC, RRB, and all PSC Examinations. 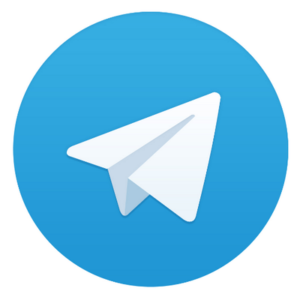 To Get Topic Wise Monthly Current Affairs PDF Join Our Whatsapp Group…. The nationwide Action Research Project of Gram Panchayat development scheme will be inaugurated by the Minister of Rural Development Narendra Singh Tomar at a function organized at Gwalior in Madhya Pradesh. The project is designed for the sustainable and holistic development of rural areas of the country. Environment Ministry Sanctions River Pollution Abatement Project in Udhampur in Jammu & Kashmir. Odisha government launched the State’s own food security scheme to cover the poor people. National Mission for Clean Ganga (NMCG) has partnered with Tata Steel Adventure Foundation (TSAF) to launch a month-long rafting expedition of a team of 40 members which will be led by the first Indian woman to scale Mount Everest Ms. Bachendri Pal. Shri Dharmendra Pradhan, Minister of Petroleum and Natural Gas & Skill Development and Entrepreneurship launched a Task Force for Closing the Skills Gap in India, in collaboration with the World Economic Forum. Asia’s first cannisters based and India’s first Methanol Cooking Fuel Program launched in Assam by the Northeast and Assam Petro-Chemicals. Arunachal Pradesh Government launched the Chief Minister’s Sashakt Kisan Yojana [Employment Generation & Agri-Mechanization Programme] and Chief Minister’s Krishi Samuh Yojana [empowering the farmers through cooperative approach] in Itanagar. Bilateral Maritime Exercise between Japan and India (JIMEX 18) to Commence at Visakhapatnam. Shankhnaad, a military tune eulogizing the valour of Veer Mahar soldiers, dedicated to the Nation by the General Bipin Rawat, Chief of the Army Staff. The tune has been written by Brigadier Vivek Sohal (Retired) and composed by Dr (Mrs) Tanuja Nafde. IndiaExternal Affairs Minister Sushma Swaraj launched India for Humanity initiative in New Delhi as part of 150th Birth Anniversary celebrations of Mahatma Gandhi being held over the next one year. ‘India for Humanity’ features a year-long series of artificial limb fitment camps in a number of countries spanning the globe. Pradhan Mantri Sahaj Bijli Har Ghar Yojana -“Saubhagya” scheme has brought a monumental change in the lives of the poor people in Odisha. The objective of the scheme is to provide energy access to all by last mile connectivity and electricity connection to all un-electrified households in rural as well as urban areas. The government has set up the Strategic Policy Group (SPG) to assist the National Security Council, which advises the prime minister on matters of national security and strategic interests. The Election Commission to set up all women- managed polling stations for each of the assembly constituencies in the poll bound states of Chhattisgarh, Madhya Pradesh, Rajasthan, Mizoram and Telangana. Government is implementing a Self- Employment Scheme for the Rehabilitation of identified manual scavengers under which onetime cash assistance, skill development training and loan subsidy will be provided for their rehabilitation. Shri RK Singh, Minister of State (IC) for Power and New & Renewable Energy announced an award scheme under Saubhagya to felicitate the DISCOMs / Power Department of the States and their employees for achieving 100 per cent household electrification in their area of operations. The government launched a training programme which is expected to help achieve its target of reducing road accidents by 50 per cent by 2020. The initiative aims to bring a formal and structured training program for young, first-time drivers as they apply for a learner’s license. Sports Authority of India’s Target Olympic Podium Scheme organised a life skills workshop for 35 elite athletes at the Indira Gandhi Indoor Stadium in New Delhi. Shri Mandaviya also inaugurated Digital Cash Management System for Pradhan Mantri Bhartiya Janaushadhi Pariyojana to be implemented as a partnership between BPPI and Bank of Baroda. Women and Child Development Minister Maneka Gandhi has said that a victim of Child Sexual Abuse can file a complaint at any time irrespective of his or her present age. She urged the victims to report the cases through POCSO e-Box. To develop Cruise Tourism in the country, the first cruise service has been launched between Mumbai and Goa. Union Shipping, Ports and Road Transport Minister Nitin Gadkari launched the service in Mumbai. It is now merged with “Green Good Deed” movement that has been initiated as a social mobilization for conservation and protection of environment. Paramparagat Krishi Vikas Yojana (PKVY) is being implemented with a view to promote organic farming in the country. Union Minister of Commerce & Industry and Civil Aviation, Suresh Prabhu at the inauguration of BIOFACH INDIA which is the world’s largest event on organic industry organized by Agricultural and Processed Food Products Export Development Authority (APEDA) and Indo-German of Commerce in New Delhi. Only the Political Parties registered under Section 29A of the Representation of the People Act, 1951 (43 of 1951) and which secured not less than one per cent of the votes polled in the last General Election to the House of the People or the Legislative Assembly of the State, shall be eligible to receive the Electoral Bonds. Digital Advancement of Rural Post Offices in India. Twelve projects worth Rs 929 crore have been approved under the Namami Gange programme. Two Sewage Treatment Plants have been sanctioned for Delhi for creating 340 million litres per day waste treatment capacity at a cost of 580 Crore rupees.